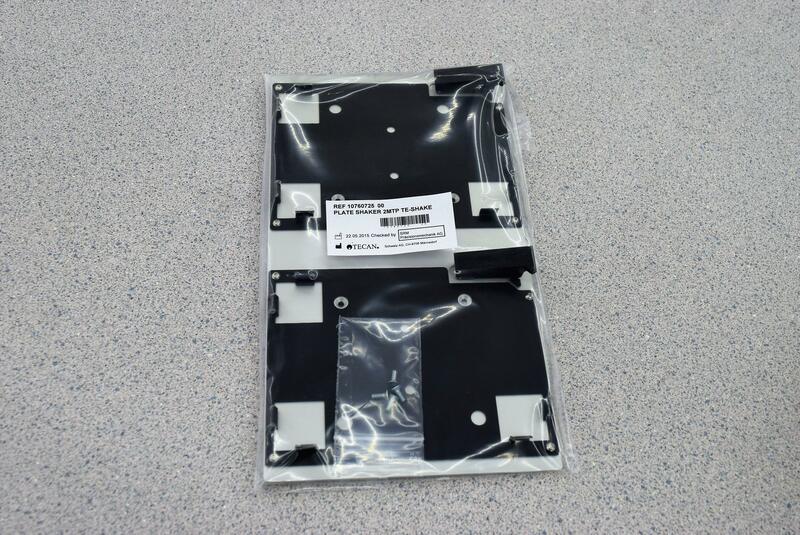 TECAN 10760725 Dual Microplate Holder 96-Well Format for TE Shake . New Life Scientific, Inc. This plate holder attaches to a Tecan TE-Shake. It holds two 96-Well microplates mounted on a metal platform.